Seksy wristwear by Sekonda proudly presents this unique timepiece as part of their Seksy Rocks® collection. 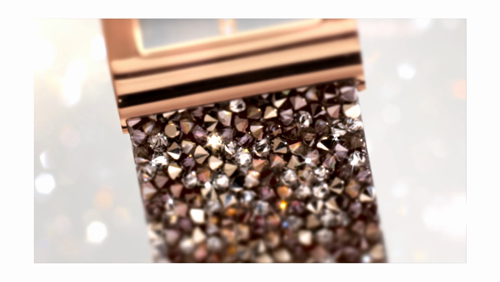 Featuring an elegant rectangular rose gold plated case and bezel, a dial embellished with Swarovski® crystals, and completed with a stone-studded bracelet made with crystal fine rocks by Swarovski®, this watch is perfect for a lady wanting to add something special to her watch wardrobe. As seen on TV. 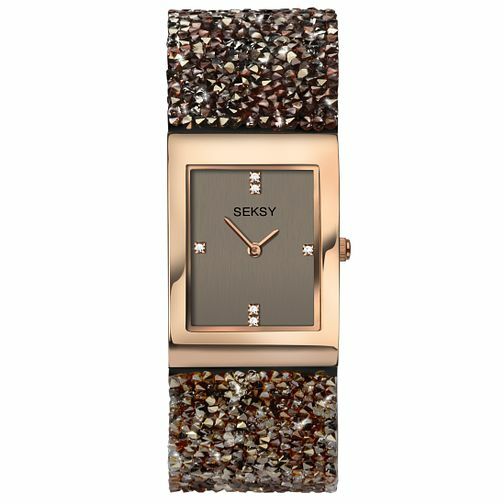 Seksy Rocks® Ladies' Stone-Set Brown Strap Watch is rated 4.8 out of 5 by 240. Rated 5 out of 5 by Anonymous from Fantastic Bought as a gift recipient loved it! Ordered online and was delivered earlier than expected.